As a ministry leader, time seems to fly! It’s hard to believe another year is already wrapping up. They seem to go faster and faster, don’t they? I hope, as you look back on this past year, that you are satisfied with how you led your ministry. Of course, leadership can never be perfected, so I’m sure some of the mistakes and failures immediately come to mind as you think of this year. That’s ok, as long as you learned something for leading better in the future. And the future is now! The beginning of a new year is always a great time to assess how you’re doing, what you’ve done well (or not so well), and how you’d like to do better in the future. With that in mind, here are a few ideas – in no particular order – to help you lead better in the coming year. 1. Grow deeper in your walk with God. It is foolish and arrogant of us to think that we can lead effectively in ministry if we are not first seeking a deeper relationship with the One we serve. Click here for more ideas on how you can grow deeper in your walk with God. 2. Lead your family well. What happens – or doesn’t happen – at home will greatly impact how you lead your ministry. More importantly, those people at home are a higher priority than those people you lead in the church. As I have led Children’s & Family Ministries for nearly 30 years, I have always said that if I fail in my home, then I have failed, regardless of what my ministry looks like. Do not allow yourself to be in a position, 10 or 15 years from now, where you look back and realize you invested more in your ministry than you did in your family. You will regret it. Ultimately, our ministry is about discipleship. What I have found, however, is that Children’s Ministry Leaders tend to focus more on program than discipleship. What about you? How is your ministry focused on discipleship of children? How are you helping parents be discipled? Are you providing your volunteers with any spiritual formation opportunities? And what about your own personal commitment to be a discipler – what does that look like? The best way to grow your ministry is to develop leaders. Period. 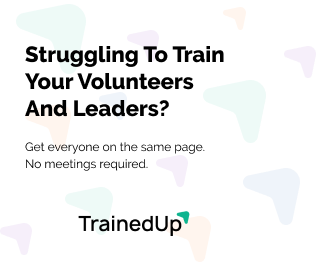 Developing leaders is different than equipping volunteers (check out this post to understand the difference). 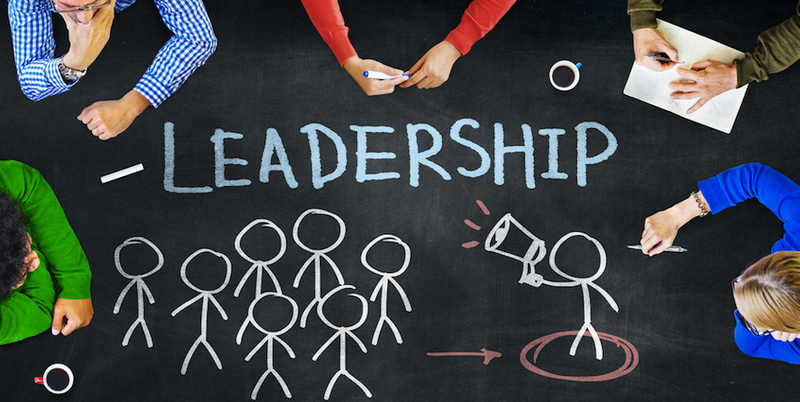 Not sure how to develop leaders? Here are five ways you can do that in your ministry. Yep, I said it…stop recruiting! Instead, invite them to a really big vision! Click here to see 5 reasons to stop recruiting and 7 ways to invite people to a big vision. Oh, and you might want to see what Jesus said about how to find volunteers. 6. Build relationship with senior leadership. Having a good relationship with senior leadership (lead pastor, executive pastor, elders, board, etc.) can literally make or break your ministry. It is critical. You might feel a little intimidated at asking church leadership to engage with childrens ministry. But church leadership can and should be engaged with childrens ministry. By that I mean they should be informed and invested in whats going on with a significant part of the church they lead. And they should always have an open invitation to engage in positive ways. Most of us dont attend church because we either havent led our ministry to the point where we have leaders who can function and lead without us being present, or we arent willing to let them lead. You might need to read that again and let it sink in. Not attending church, in most cases, speaks more about our leadership than it does about our busy-ness. If you don’t regularly get in to church services, I would highly encourage you to make that a goal in 2018. Not only will it impact you personally, but it will great impact your leadership. If you’re struggling in this area, read this. 8. Clarify your ministry vision. Do you have that “clear mental picture”? If not, it’s a great place to start with your ministry. It should always be aligned with the overall vision of the church, be clear and concise, and shared often. 9. Maximize people; minimize program. Simply put, our ministries are all about people. Kids. Parents. Volunteers. Staff…People! Yet, too often, we become all about program, and that’s not real ministry. That’s entertainment. Now, don’t misunderstand…I am NOT saying program is not important. What I am saying is that when our ministry becomes all about great program rather than people, our priorities are out of line. I encourage you to evaluate your ministry and identify how people are priority in the midst of great program. 11. Equip your team to serve. Through equipping parents to disciple children at home. How are you equipping your team to do the work of ministry? Children’s Ministry is Family Ministry and Family Ministry is Children’s Ministry. If we think they are different, we are fooling ourselves. Whether we act like it or not, the greatest spiritual influence on a child is their parent (for good or bad or somewhere in-between). If that is true, then why do so many of us try and lead ministry where we don’t even try to engage parents? Here are a few more thoughts on this topic, and here are 4 Ways to DIS-Engage Parents From Your Ministry. 13. Walk slowly through the crowd. Want to connect better with the people you lead? Do this one thing and see how much it changes your leadership. 14. Create a culture that people want to be part of. What does the culture of your ministry look like? Is it a place where people want to be? Is it a place where words such as “energy”, “encouragement” and “excitement” can be used to describe it? Is it a safe place? Does it promote a team mentality? Is it a place where leadership is expected, and where leaders feel comfortable? You can only lead people to the place that you yourself have gone. And your ministry will only rise to the level that you and your leadership can take it. 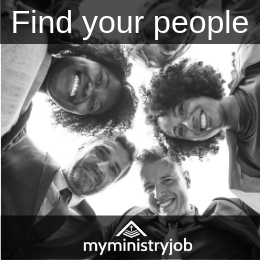 So growing yourself is critical if you expect your ministry to continue to grow, encourage others around you to learn as well – you never know who might be interested in doing a ministry degree online. Use the tools and technology at your disposal to encourage the mental and spiritual growth of those around you at all times. Now would be a great time to create your own personal growth plan for 2018. This might seem like an odd item to add to this list, but I have found that being a problem-solver can be one of my most important “tasks” as a leader. It helps to establish my leadership with both that that I lead and those that I follow. It helps me move my ministry forward instead of letting it stagnate. And it helps me practice leadership in difficult circumstances. So don’t procrastinate on dealing with problems. Don’t pretend they don’t exist. And don’t push them off to others. Solve them. Leading a Children’s and/or Family Ministry is one of the greatest privileges I can think of. It’s also one of the most difficult leadership roles in the church. At the same time that it offers great personal rewards, it can be frustrating and discouraging. One of the ways that I have found to both enjoy the good and deal with the bad is to find ways to have fun. And the reality is, it’s really not that hard to find ways to have fun. After all, our ministry is to children, right? How hard is it to find ways to have fun with kids? And the people we serve with…it doesn’t usually take too long to find a laugh or two while we serve together. In the midst of the challenges, the lack of budget, the volunteers that leave and the hours you put in beyond what your paid for…have fun! And if you’re not having fun, you’re probably not going to lead well for the long term. So here we are, at the beginning of the New Year. I’m not big on resolutions, but I do recognize opportunities for new beginnings. This is one of those opportunities. Leading in Children’s and Family Ministry can be hard (although, really, it’s not that hard), so we must be intentional. You have an opportunity, as you lead your ministry, to be intentional in how you start the year. You have an opportunity to set the tone for yourself, your family, the kids, parents, volunteers and staff that you lead, and with the leadership of your church. Don’t leave it to chance. Be intentional. Start well and lead well in 2018. What would you add to lead well in 2018? I found this article 18 ways to be a better children ministry leader very helpful, inspiring, and it has really blessed me. I am so happy I read it. God bless You and more grace in your ministry. Thank you for blessing us with your wealth of knowledge. I am excited about implementing 18 Ways to be a Better Children’s Ministry Leader. This article has inspired me for first my personal walk with the Lord and then making an impact on the children, families and volunteers in our ministry. Thank you so much! Blessings to you all!